My friend Angel and I hosted our very first art and craft supply swap! 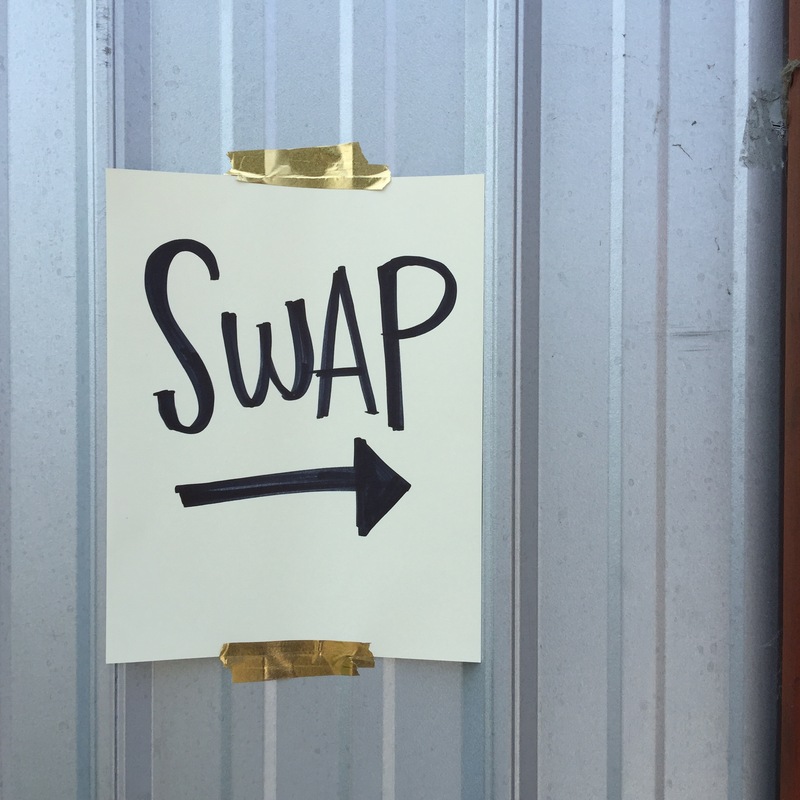 We had never been to a swap before either so we had no idea what we were doing, but we knew we wanted makers to be able to get rid of unused items, perhaps pick up some new materials to try new creative endeavors, and to meet fellow creatives. Overall, I’d say it was a success and well-received. We will probably host another in the new year. This way to the swap! 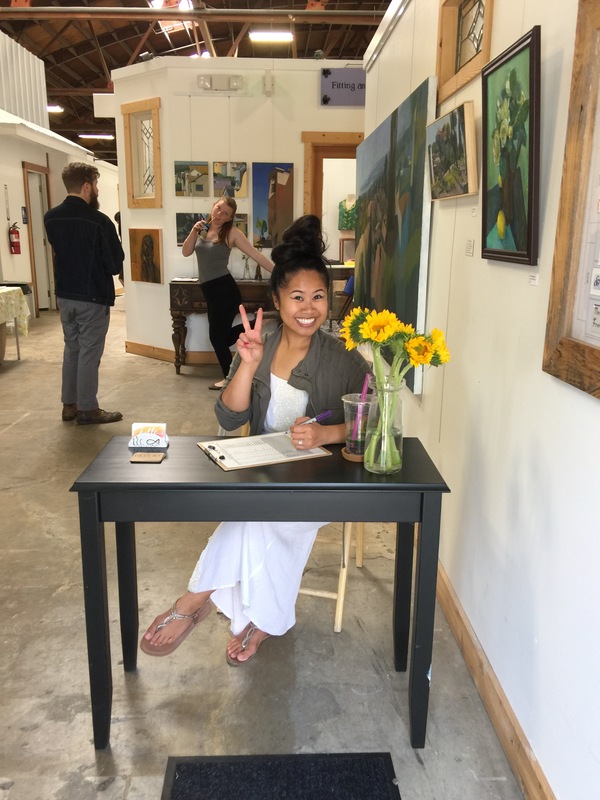 We held the swap at Makers Workspace and invited the maker community to join us. We also posted the event on Eventbrite so we could keep track of interest and contact information. The swap was free for swappers and we requested a small fee from non-swappers. This worked out great because we had enough paid participants to purchase some light snacks for everyone. I scored these fun balloon arrangements from crafty friend Rebecca at her art installation earlier in the month. She was so happy to see they were still alive and could be used again! They were perfect for attracting passersby. Welcome! I was the designated greeter for the day, checking guests in and getting first dibs on goods. Ha! And there’s my lovely friend Lucia in the back! We set up categories for guests to sort their materials and to easily find what they may or may not have been looking for. 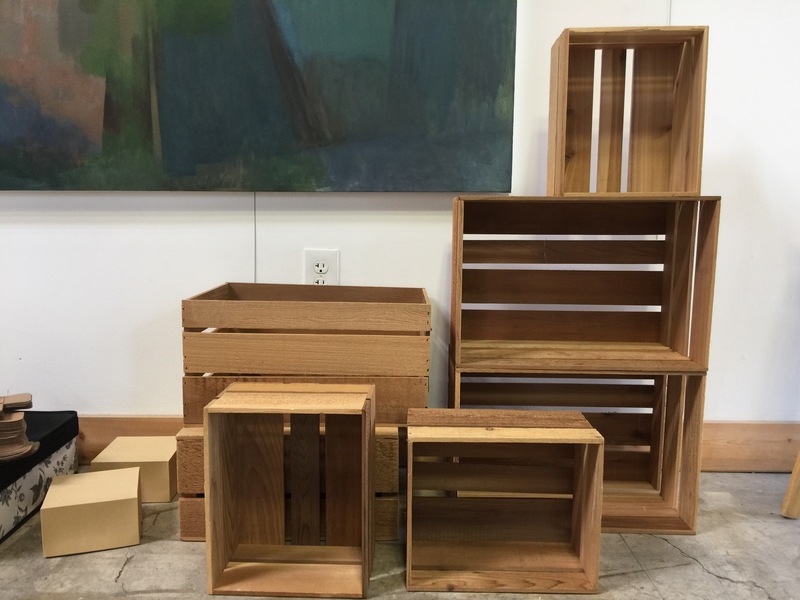 We had some awesome items for swap, like these useful crates! These got snagged up right away. 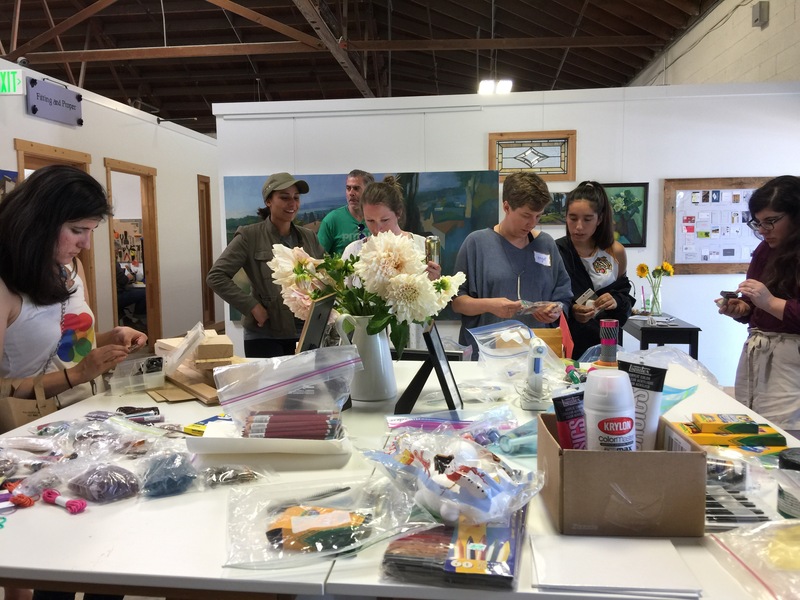 All of the items that didn’t get picked up were sorted and then donated to either Sticky Art Lab or East Bay Creative Reuse. Nothing went in the trash! Here’s my bounty. I swear I went home with less than I brought! 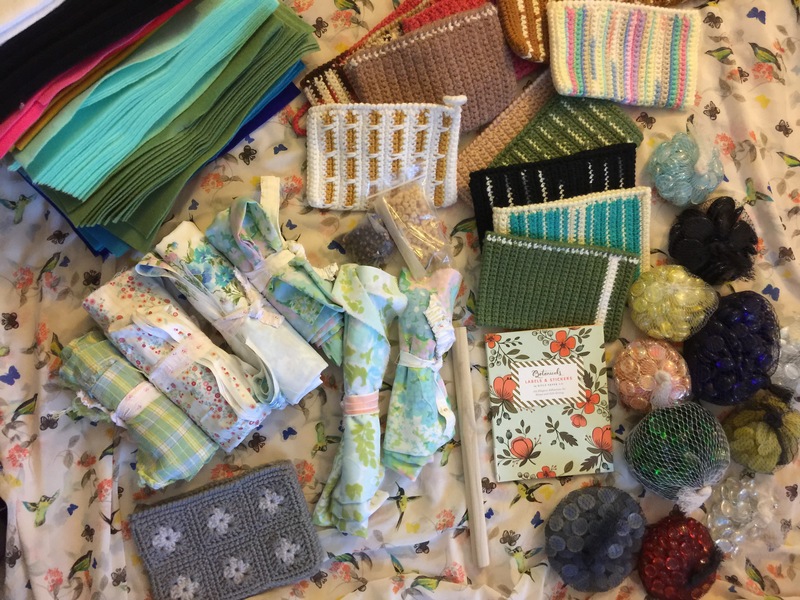 It felt really good to clean out my craft closet and share the crafty love. It also was awesome to meet fellow creatives and learn about their passions and projects. Thank you to everyone who participated! Have you attended a supply swap before? What was your best find? Share below! Next Postpop goes the etsy.